The New Beatmaker took a bit of a break during the Autumn months of last year, and what better way to spend this hiatus than by enjoying some of the projects sent to the site during this downtime. One of the projects that immediately became a favourite was the instrumental hip hop project 'Love' by Bless 1. Bless 1 is a versatile producer / composer from Chicago, with placements on networks including VH1, Spike TV, Oxygen, and TLC. He also scores short films & webisodes for Dallas Penn & Rafi Kam aka The Internets Celebrities. The New Beatmaker couldn't agree more. Whilst this sentiment is praiseworthy in itself, it also helps that the project is masterfully put together and is one of The New Beatmaker's favourite albums of 2014. The brevity of each track, as well as the beatmaking techniques skillfully applied and emotions evoked, brings to mind classic projects like J Dilla's 'Donuts'. 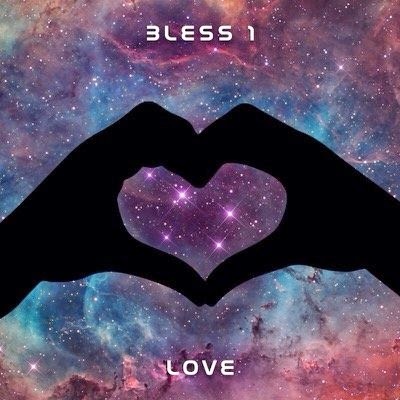 Bless 1's short and sweet - or perhaps short and bittersweet - tracks are individual chapters which, thanks to the clever sequencing of the project, tell the listener an engaging sonic story. ...One of The New Beatmaker's favourite albums of 2014... Bless 1's short and sweet tracks are individual chapters of an engaging sonic story. The first four tracks capture the giddy feeling of infatuation and new love, what some may refer to as the honeymoon period, filled with a warm fuzziness. Someone needs to get Common and Kanye on the phone, as the hip hop world needs to hear them spitting, 'Be' style, over such sweet soul bangers as project opener 'Hey Baby'. Likewise, the spacey yet soulful synth strings of track three, 'Close', are crying out for Ghostface to explore his sensitive side over them. The middle of the project, specifically tracks five to ten, tell of a relationship gone sour. The suspenseful, high-pitched strings, nimble bassline and mournful wails of 'Call Me' and the outright drama of 'She's Gone' speak of a love gone wrong. The operatic-style vocal flip and military drums at the beginning of the latter track are especially nice touches; and just wait until the beat drops. The operatic-style vocal flip and military drums at the beginning of 'She's Gone' are especially nice touches; and just wait until the beat drops. 'Best Days', another of 'Love's explorations of heartache, flips a vocal and sitar sample that was from a very specific era in soul music. One which, interestingly enough, may be set for a big resurgence in modern soul music, given the way in which D'Angelo has recently mined it to great effect on his victorious return and another of The New Beatmaker's favourite albums of 2014, 'Black Messiah', on the closing track 'Another Life'. I bring this point up as, with 'Love' dropping three months prior to 'Black Messiah', some extra props are due to Bless 1 for his prescience in paying homage to this sweet sound before it got reintroduced to a wider music buying public once more. The Internets Celebrities' 'Food Warriors' features music by Bless 1. Later tracks including 'Hey Girl' have a more ambiguous vibe: has the once-errant love returned? Or have both parties moved on, and we are now witnessing a return to the intoxicating early stages of a relationship with a new object of affection? Either way, the crunchy drums, dramatic strings and fluid yet understated bass make for another winning track. ...the crunchy drums, dramatic strings and fluid yet understated bass of 'Hey Girl' make for another winning track. 'Everything' brings back the high vocals and sitar of 'Best Days', with a nice reworking of arguably the most well-known and well loved soul classic of it's kind. 'Greatest Creation' lovingly flips another much loved standard in an unexpected manner; showing again that this beatmaker is just as adept at taking standards in fresh directions as he is digging for and using less obscure sample sources. 'Love' is one of those wonderful projects that is sure to give MC's the world over the urge to write and rap to, but at the same time it is equally engaging and enjoyable as a collection of lovingly created instrumentals. If you're a fan of big, boom bap drums, finely chopped soul samples and tasteful arrangement and sequencing, fall in love with 'Love' today. Bless 1 was featured in Episode Six of 'Soundcloud Sessions' here. The world of music making is full of esoteric words, phrases, acronyms and abbreviations, some of the more frequently used ones are explained here. Attack time, the time of the initial increase from zero to peak, starting from the key being pressed.Decay time, the time taken for the following decrease from attack to the sustain level.Sustain level, the level of the main sequence of the sound’s duration, this is until the key is released.Release time, the time taken to go from sustain level back to zero once the key is released. Analogue – Non digital / pre digital processes and equipment. An obvious example of analogue technology is tape. Featuring hip hop superstars including Jeezy, J Cole and Kendrick Lamar to Black Milk; long time The New Beatmaker alumni K15, Walkingshoe, Evil Alex and Cor Stidak; to newer additions to the TNB Family including Ashes and Dreams and Optic.